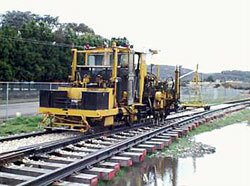 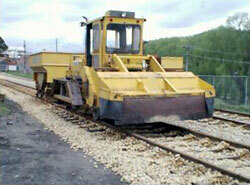 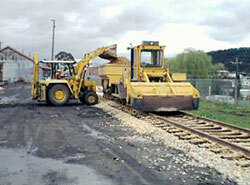 Our track laying contractors, Taylor Rail Track, has completed the track work to the Goods Shed at Eskbank. 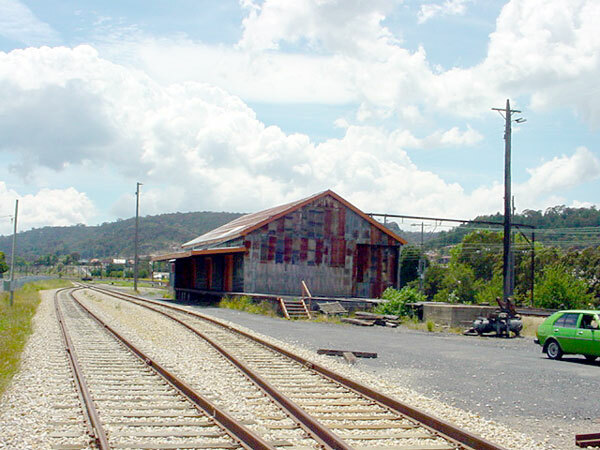 including a run around loop and a connection to the covered road inside the Shed. Here are some images taken during and after the work. A Ballast Spreader at work on the new line approaching the Goods Shed. A Track Machine performs its duties at the Coal Stage end of the loop at the Goods Shed. 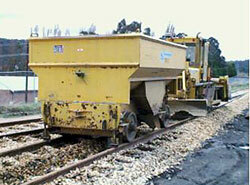 The Ballast Spreader being replenished by an FE Loader. A rear view of the Ballast Speader showing the ballast skip. 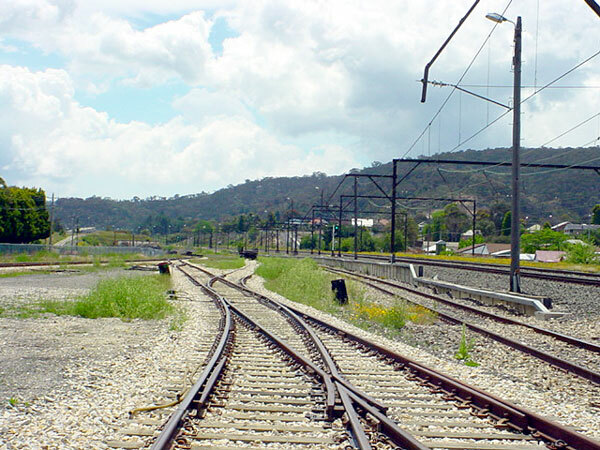 A view from adjacent to the site of the former Coal Stage of the new track connecting the State Mine Branch to the old Eskbank Goods Shed. Visible in the foreground is the truncated link to the former "bottom yard" built over the original Eskbank Locomotive Depot. 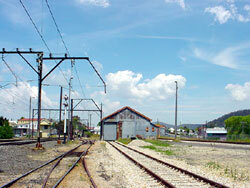 At right is the line into the Goods Shed at Eskbank. 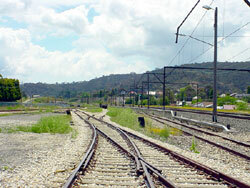 The turnout in the bottom left corner is the conection to the main rail system. 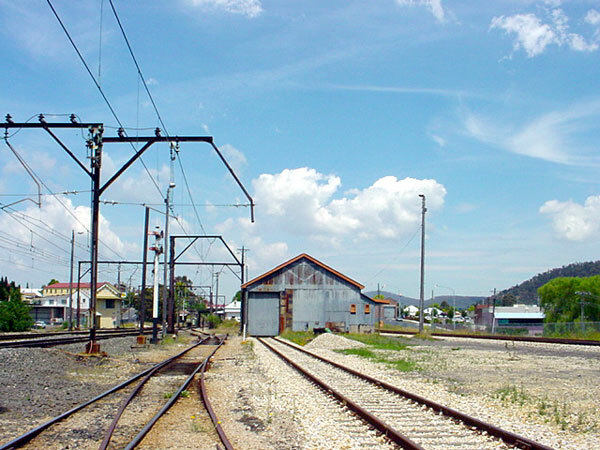 The run around loop at the old Eskbank Goods Shed which will be the terminus of passenger services to and from State Mine. 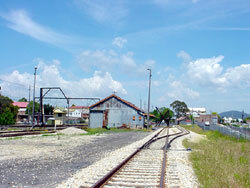 A new platform will be built in front of the dock for passenger access. 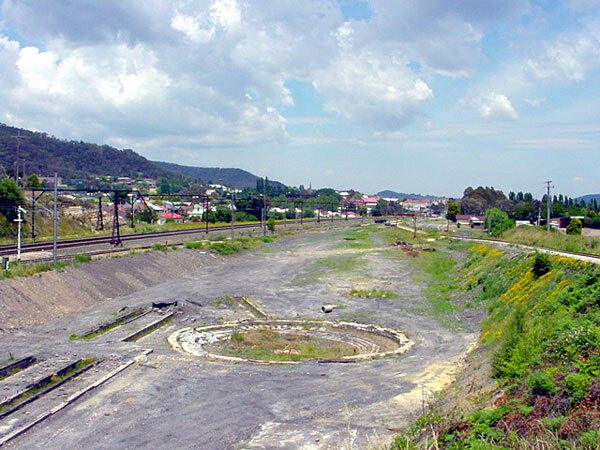 A view from adjacent to the site of the former Coal Stage of the track being laid to connect the State Mine Branch to the old Eskbank Goods Shed. 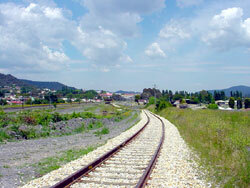 Looking east from the Eskbank end of the line along the new run around loop. 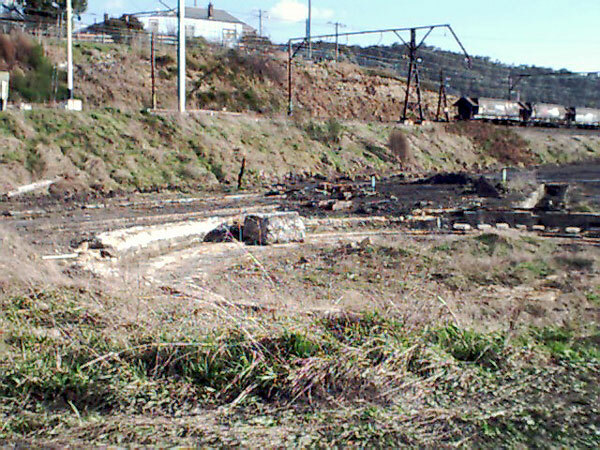 The old Turntable foundation at the site of the former Eskbank Locomotive Depot is now being uncovered. For more than 50 years the turntable has been covered with soil. 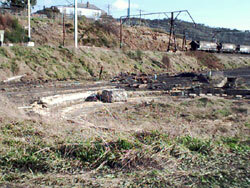 The pits from two of the three roads in the shed have been dug out and can be seen to the left of the turntable pit. 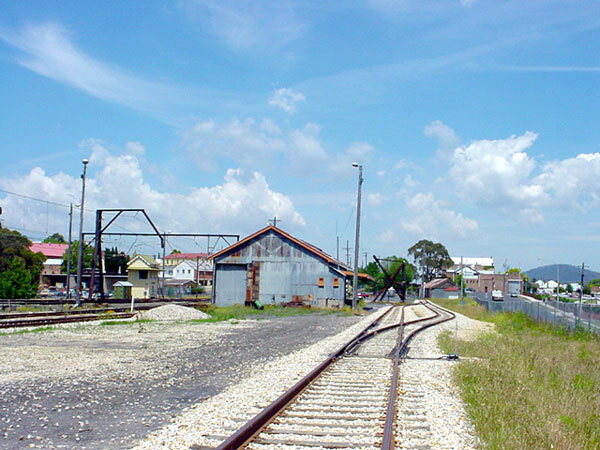 A closer view of the old Turntable foundation. A turntable is being obtained from Coolah and will be installed on the original site just below the old Blast Furnace.